Home › Fiber Blog › Benefits of fiber to the home, Google Fiber › What might happen when fiber to the home comes to Dayton? The Dayton Ohio region has two major ISPs, AT&T and Time Warner Cable. What will their reaction be when another ISP is building fiber to the home to deliver gigabit speeds to their home users? Whatever their reaction, it will be good for those home users. When Extra Mile Fiber launched in late March, a colleague that lives in Austin Texas described what happened in his community when Google Fiber announced they plan to build fiber to the home there. He said that both AT&T and Time Warner Cable “fell all over themselves” to increase speed and offer more competitive broadband solutions. He went on to say that the United States needs more fiber to the home providers building out our communities. There is really no compelling drive for incumbent carriers to build fiber to the home or change the last mile to fiber when they cannot charge the home users more money. However, competition with another last mile provider bringing fiber for costs similar to the current market pricing will generate some response. In Dayton, the buildout of fiber to the home to neighborhoods throughout the Miami Valley will eventually generate a reaction from AT&T and Time Warner Cable to offer faster broadband and better prices. As a whole, Dayton and its residents will win as fiber is delivered. Let’s get started. 4 Responses to What might happen when fiber to the home comes to Dayton? I received an article confirming that AT&T and Time Warner Cable were offering higher speeds in Austin the same day I authored this post. AT&T is planning to offer gigabit service in Austin by the summer of 2014. Cable is planning to offer speeds up to 300mbps, but appears to be automatically bumping customers to 50mbps that were receiving 15mbps. What’s missing is the FTTP/FTTP connections and a local Frontier executive tells me this evening it will be a decade before we will have them to my community. Really??? We can’t wait for the telecoms and cable providers. No fiber available in Dayton yet. Charter just made available it’s 300/20 tier in many Dayton neighborhoods. I am currently paying $99.99/month for the 300 Mbps service. I am sure if fiber came to Dayton, we would see price drops and more service offerings. We applaud the move by Spectrum to increase speeds in the area. I think many people will benefit from this change. 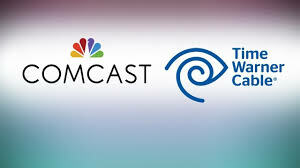 The availability of streaming services will also allow many to cut the cord and get less expensive television content. The 300mbps x 20mbps is likely a wonderful experience.